Soothe and repair cuts and scrapes with a topical ointment that stays on wounds. Contains zinc oxide to encourage repair, eucalyptol for its mild antiseptic properties and phenol to soothe the area. 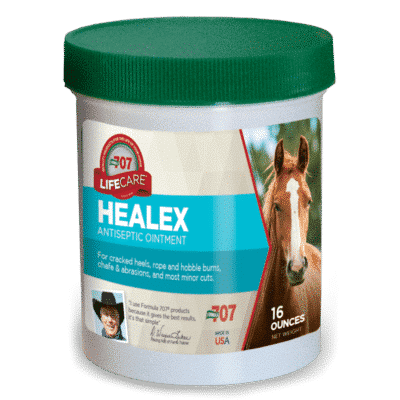 Ideal for saddle sores, hobble burns, wire cuts – any abrasion or breakage of the skin.